There are more and more people turning to the internet looking for cheaper alternatives for their prescription contact lenses. Afterall getting your contact lenses online can be quite convenient since you don’t have to leave your home and with a couple of clicks on the computer, on your tablet, or smartphone and then all you have to do is wait for it to get shipped to your home. Purchasing your contact lenses online is quite simple, and websites make it easy to shop around for the best prices, and online retailers generally have the most competitive price anyways. With online retailers, you always have to make sure you are working with authorized retailers and not a garage operation. Below you will find tips on how to buy contacts online, and what to look out for in an online retailer before you make your purchase. Today there is no shortage of online retailers and with an item such as contact lenses, you do not want to be purchasing from a garage or basement company. What you want is a larger more reputable company. Keep in mind that looking for the best price is definitely important when it comes to contact lenses, but you have to make sure you are dealing with a reputable company as well. Whichever company you decide to purchase your contact lenses from, keep these things in mind. Refund Policy – Checking the refund policy for the company you are looking to purchase your contact lenses from is very important. For something such as contact lenses, most reputable online retailers will have long return policies. Some retailers will accept any refunds with no time frame, and others will give you usually a year. This is given that the boxes of contacts you have are unopened and undamaged. Most contact lens retailers will not refund opened boxes of contacts, whether it is online, or at a local retailer. Understanding the refund policy is important especially if you are buying in bulk, just in case your prescription changes you may still exchange them for your new prescription. Shipping Time – Reputable retailers will have information on how long it will take your order to ship out after you have made a purchase. Keep in mind that if you are in the U.S. the law requires your retailer to verify your prescription with your doctor’s office which could make the order take longer. To speed up this process it is best to have a copy of your prescription that you can provide to speed up the process. Customer Service – Check to see if they have customer service for you to easily contact in case you have any issues with your order. Reputable online retailers at the very least will have a phone number and contact email posted. Many online retailers today have live-chat operators that you can talk with either during operating hours or sometimes even 24/7. Is the Website Secure? – This is a big one, especially since you are going to be entering your personal information to make your purchase. Whenever you are visiting a secure page, you should have a locked padlock near the web address. The web address should also start with “HTTPS://” and not “HTTP://”. Both of those things would indicate that the website that you are visiting has its SSL Certificate and is a secure and safe website for you to purchase your contact lenses from. Company Page – Check the company page, if it is a reputable company it will have an “About Us” page somewhere on the website. This page normally will explain the companies history and what they are all about. Look at Selection – Take a look at the selection of contacts that the company has available. Large reputable companies will have a large selection of contact lenses that are in stock and readily available. If you are out looking for ways to purchase your contact lenses on the internet then you should already have a prescription. If you don’t have a prescription then that should be the first thing that you do. Prescription – In the United States, it is a requirement to have a valid prescription to be able to purchase contact lenses. A contact lens exam is different from your standard comprehensive eye exam. During a contact lens exam, your doctor will determine what size and type of contact lenses would best suit your needs. On the prescription, there will be a brand or brands of contacts listed that you are prescribed, the measurements for the lens and your prescription. You will need all of this information to enter in when you place your order. Insurance Information – If you have vision insurance and you are purchasing your contact lenses online, the majority of the time you are going to have to pay out of pocket, and request an invoice from the retailer you purchased your contact lenses from and submit it to your insurance provider for reimbursement. If you have VSP, Cigna Vision, or Metlife as your vision insurance provider, you may be able to apply those benefits directly onto your order over at Eyeconic. FSA/HSA Card/ Payment Method– If you are going to be using a health savings or flexible spending account, make sure you have your card ready to make your purchase. Many online retailers offer you the ability to use your benefits directly out of your flexible spending or health savings accounts if you have a card that is affiliated with Visa or MasterCard.If you aren’t using either of those, any regular credit card will do. The thing that you must have if your going to purchase online is your prescription. Even if you don’t have a copy of your prescription, and you just have your contact lens boxes, you can still use that to enter in your prescription online but you will have to fill in our doctor’s information and the retailer will verify your prescription with your doctor’s office. Shop Around – Always make sure you shop around for the best deals, not shopping around could mean that you might miss out on any promotions that a retailer could be running at the time. Online retailers often run promotions, and some can save you a substantial amount of money. Changing Brands – If you are ever concerned that the brand of contact lenses you are wearing is costing too much, ask your eye doctor to see if there are any alternative brands that you may be able to be prescribed. Bear in mind this is not always a possibility and largely depends on your prescription. Look for Coupon Codes – With the internet, there are definitely no shortages of coupon codes floating around at any given time. If you don’t search for them, you could be missing out on some serious savings. 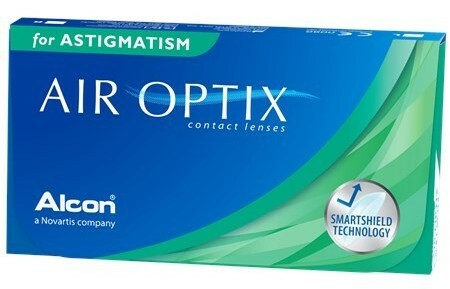 Purchase in Bulk – This is always a great way to save money on contact lenses. Many online retailers offer discounts on each box if you purchase over a certain amount. Remember any time you are purchasing in bulk, to double check the refund policy of the retailer. Factor Total Cost – Don’t forget to factor the cost of shipping into your totals. Some online retailers offer free shipping, others offer free shipping after your purchase over a certain dollar amount, and some don’t offer any kind of free shipping at all. It would be pointless to get something cheaper at a different retailer if they are expensive on shipping. Also, don’t wait until the last minute and expedite contacts to yourself, that is unnecessary shipping expense. Price Match – Check to see if the retailer has a price match guarantee. Not all retailers price match, but there are some that will price match and beat out the competitors’ price by 5%. Rebates – This is a great way to get some money back on your contact lenses. There are a number of different rebates that you may be able to take advantage of depending on the situation, but rebates could come directly from the manufacturer, the retailer, and first-time wearers. Some companies will launch rebates along with the new product to help get more people interested in the new lens. No matter where you end up purchasing your contact lenses, always remember it is important to get your eyes checked annually to make sure your eyes are healthy enough to wear contact lenses. Remember during an eye exam, your eye doctor can detect serious hidden health concerns. Contacts can be expensive, but that doesn’t mean you can’t find great deals to save you money on your contact lenses. Don’t be afraid to shop around. If you are looking for the best prices, check out our article ‘Where to Find the Best prices For Contact Lenses‘. Where do you currently buy your contact lenses? Are you happy with purchasing them there? Let us know below! If you have any questions or comments don’t hesitate to leave them below and we will get back to you. I am in Thailand and getting ready to buy new contacts when I go to the Philippines next month (my home base). I’m not sure if I can or want to wait 1 month though. One question I do have is, how am I able to know my correct grade as I think I need different lenses from my last purchase. Is there any way to do that online or would I need to have eye testing done? Hi Tim, thanks for stopping by! If you feel if you prescription has changed, it is best to have an eye doctor do an exam to get a new prescription. Unfortunately technology isn’t advanced enough to do our eye exams through a computer just yet. Hope that answers your question. Hi Tim if you do not have a current precription you would have to have a new exam done before you purchase contact lenses online. All reputable retailers will require a current precription. Hope that answers your question, thanks for stopping by. Very good article. I do not use contacts but is good to know this information for future use. I like how you remind the reader the factors to keep in mind when dealing with the purchase online. I like that your remind the visitors that: refund policy, a secure website is just as important as price. Also the fact the having your prescriptions is as important as knowing what should be written on the prescription. Your last tips on how to save on contacts lens online nice, good suggestions. Thank you for your blog post, having worn contact lenses for many years and paying top prices, is refreshing to read an article that tells you how to save money and gives good advice. Hi Roy thank you for stopping by! You can’t forget about the coupon codes! They are the best way to save money on pretty much everything! Take care! Thanks a lot for the helpful and informative post. The 6 points you discussed under the “Checking online retailers” section is very useful. Saving our money is vital in this challenging financial situation and your tips on this post gave new insights. Thanks for the sound advice. My wife purchase contact lenses in the shop which is next to our home. We never tried it online after reading your post next time we gonna try it online. Hi Paul, yes contact lenses can be quite expensive and most people get comfortable purchasing them from where they always purchase from, but with contact lenses the market is ever changing so shopping aroundfor the best deals is the best way to go. Your advice are all valuable, especially customer service. No matter how accurate the site description is, there are number of times that I get something different. A bad or no customer service would be a hard purchase. I am glad you are guiding people to look for sites with an SSL certificate! I don’t wear contacts but, I shop for an elderly gentleman that is paranoid about online purchases and it was like pulling teeth for him to let me order his contacts online! I am a shopping queen when it comes to finding the best deals online! All your tips are spot on! Eye health is something not everyone concerns themselves with until it becomes an issue. I have been struggling to see up close since periomenopause kicked in. Weakened eyesight during this time is sometimes permanent I came to find out! As well as your great flair for style in eyewear and rad shopping tips , do you recommend any dietary changes or, some of the eye exercises I’ve found to help strengthen our eyes? I feel like exercising my eyes has made more of a difference than I had originally hoped for. I was hoping you could weigh in on the subject 🙂 Thank you in advance! Hi Fyre and thank you for stopping by, yes unfortunately many people leave anything that is concerning eye health on the backburner until something is going on. Unfortunately I do not have any dietary changes or excercises for you, as far as I know there has not been enough evidence that show excercising your eyes really improve anything. As a matter of fact there have been several companies marketing eye improvements that have been shut down due to false claims of effectiveness. Mr. Huy expert and founder of Eye Health HQ from ABOC | NCLEC publishes seven detailed tips for buying contact lenses online. His recommendations are professional first of all. At the same time, the expert takes care of the patient as a buyer. He gives advice on how to avoid unnecessary expenses, when buying high quality contact lenses on licensed websites. The site must have an SSL- certificate and other authentic features. I liked the instructions on preparing a patient for an online purchase in terms of prescription, insurance, and payment methods. Very good tips on saving money when comparing online stores with regard to their promotions. I felt grateful when I was reminded of the need for regular eye exams.